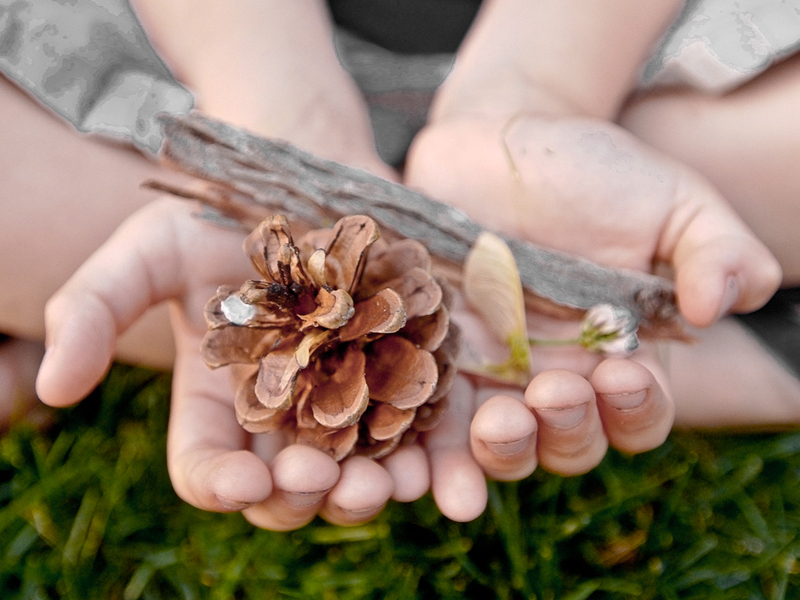 Hands-on experiences with nature are an important element in a child’s development. When given opportunities to explore, connect with nature, and experience its beauty children gain an understanding of the world around them. Mother nature offers so many rich sensory experiences that can satisfy a child’s natural curiosity and provide endless opportunities to manipulate, collect and compare newly found treasures. In addition to lessons in science, children learn to label, identify and classify natural elements. They use found items as their own creations in their play. Sticks, twigs, acorns, pine cones, rocks, and leaves become the most versatile of toys; tools of the imagination. 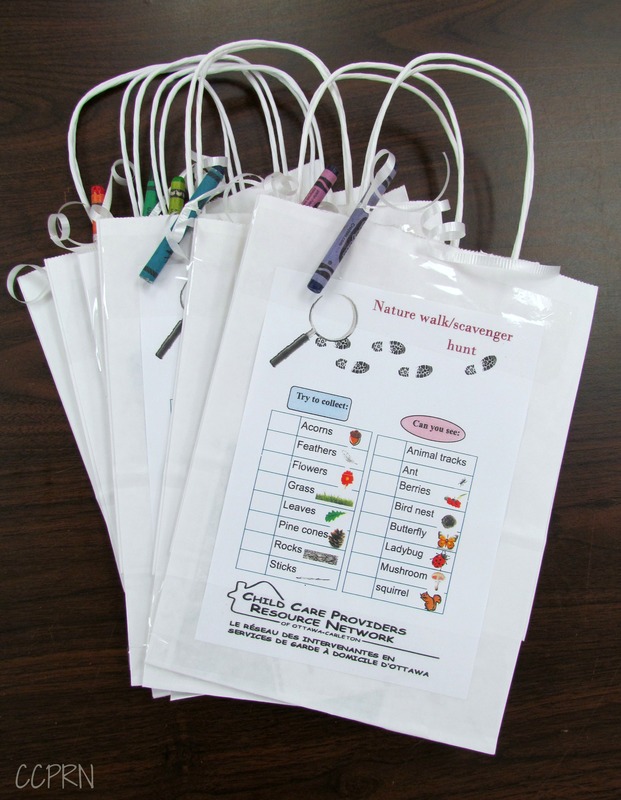 This summer CCPRN hosted several Nature Walk and Scavenger Hunt events across the city. Julie prepared bags for the children to gather their treasures inside. As residents of Ottawa, we are so fortunate to have access to beautifully maintained nature trails and green spaces. So before summer’s end, be sure to get outside and encourage these experiences that promote an appreciation and lifelong respect for nature. Click here for a detailed list of trails within the Ottawa region.